Midlife crisis -- what's it really look like? We've all heard the jokes about the middle-aged man who wakes up one day and suddenly decides to radically change his life by quitting his job, buying a red sports car, and finding a new, younger wife. Or the woman who decides that she needs plastic surgery to recapture her youth, starts an affair with her yoga instructor, or begins to dress like a teenager. Is that what a midlife crisis really looks like? Or are those exaggerated stereotypes? The truth is that a midlife crisis can look different for everyone, and not everyone goes through one. Although most people do go through a period of reflection during their middle years, that doesn’t mean it has to be an all out crisis. So what are the real facts about midlife crisis and what's fiction? In particular, what does a midlife crisis in men most often look like? While both men and women can experience a midlife crisis, men experience them at a higher rate. For that reason we’ll take a look at some of the common characteristics of a man experiencing a midlife crisis. A midlife crisis might occur anywhere from about age 37 through the 50s, says Dan Jones, PhD, who has researched adult development and transitions. The crisis or transition tends to occur around significant life events, he says, such as your youngest child finishing college, or a "zero" birthday announcing to the world that you're entering a new decade. "The death of parents can be a marker, too, for these midlife events," Jones says. 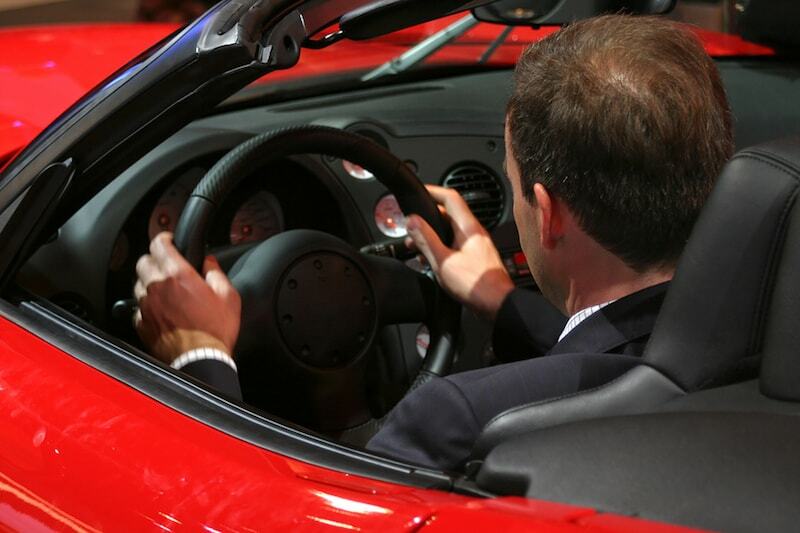 "The stereotype is a man buys a red sports car," he says. That's not always the case, of course, but Jones says men do seem more intent on wanting to prove something. Men might gauge their worth by their job performance, he says. They may want to look successful, for instance, even though their achievements don't measure up as they had hoped. What Should You Do For a Man Experiencing a Midlife Crisis? Do you know a man in midlife crisis? It can be hard to tell sometimes. Often the thoughts and feelings that lead up to one quietly and slowly accumulate over time until a man is at the point of radical behavior changes because he’s feeling in crisis and doesn’t know what else to do. Sadly, the behaviors choices stemming from a midlife crisis are almost always destructive and usually lead to regrets later on. Nevertheless, if a man you care about is experiencing a midlife crisis understand that he will most likely deny it and won’t want to talk about anything surrounding it. So you can’t take a direct approach in telling him what he’s doing wrong. You’re also most likely too close to him for him to be able to listen and believe what you're telling him is true. It’s important that you recognize your limitations because of your role in his life. Men experiencing a midlife crisis are completely certain that the life-altering changes they’re making are necessary in order for them to be happy. This is a very selfish state, where their concern is self-focused and family and friends can become collateral damage. If this is the case then it’s a good time to get some expert guidance on how to help him. A good portion of my work in counseling men is in supporting their partners through such situations. Finding a counseling men expert to help you with midlife crisis in your man can be invaluable. If you believe that you or someone you love is experiencing a midlife crisis you’ll need to practice a lot of patience. Midlife crises don’t resolve quickly. But with patience, understanding, love, and potentially the help of an experienced counselor they can be survived. And it’s possible for life on the other side of the crisis to be a good one. This is the first article of two defining midlife crisis. Here's the second one: What Triggers A Midlife Crisis? Sign-up for our blog below and be sure not to miss our next article. Source: WebMD - Midlife Crisis: Transition or Depression? Editor's Note: This post was originally published June 27, 2010. It has been updated for accuracy and comprehensiveness. How Can I Tell If My Husband Having A Midlife Crisis?